No matter what you're using to shoot video these days—a mirrorless hybrid, a DSLR, or a more traditional palm- or shoulder-mount camera—you are capturing both moving images and sound. Although more emphasis is placed on the visuals, the importance of sound should never be overlooked. There are a great number of things you can do to improve the audio quality of your video productions, and using a good on-camera shotgun microphone is one of them. In this article, we'll take a look at several shotgun microphones that can be mounted on your camera and connected to its 1/8" (3.5mm) mic jack, or its XLR input (depending on which one is available on your camera of choice). Along the way, you'll learn some important tips about using shotguns properly, such as how to avoid unwanted wind and handling noise. It needs to be noted that shotguns aren't the best choice for every situation. For example, if you're shooting a musical performance with a stationary camera, you can usually get better-sounding results using a non-directional stereo microphone, like the Senal SCS-98. More often than not, though, shotgun microphones prove to be one of the most effective on-camera tools for sound capture, which is due to their ability to reject sound to the sides and rear, and to prioritize the sound in front of the mic. The Senal SCS-98 DSLR/Video Stereo Microphone is a non-directional, non-shotgun mic, but is best used for recording live music. A key thing to understand about upgrading your on-camera microphone is that it isn't a complete, all-in-one solution for better audio. 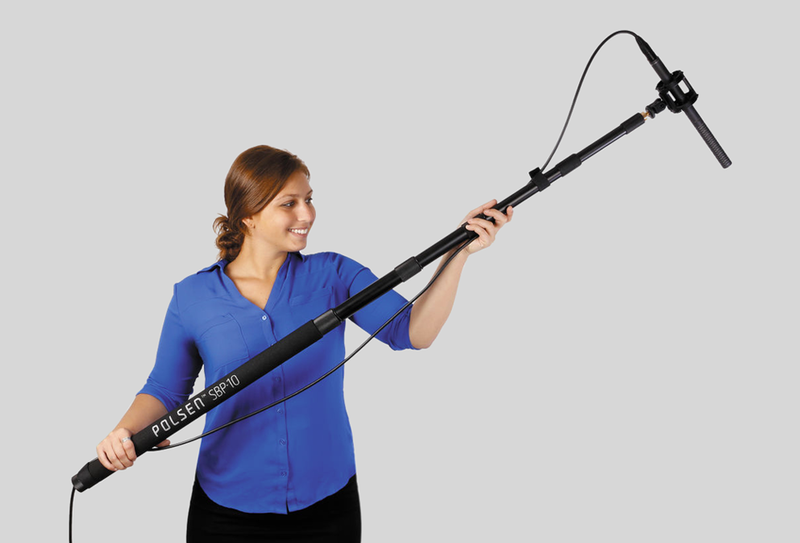 Getting great sound in video productions usually involves the use of lavalier microphones, wireless systems, external audio recorders, boompoles, and scores of other tools and techniques. However, a better on-camera mic will improve the overall sonic performance of your camera, which is why most experienced production people use them. If your main camera is compact, it's a good idea to pair it with a proportionally sized on-camera microphone. One of the most basic yet effective shotguns that fit this bill is the RØDE VideoMic GO. What's great about this microphone is that it doesn't have any controls, knobs, or buttons. There isn't even an On/Off switch. One caveat is that it needs to be supplied with "Plug-in Power" from your camera's mic input in order to operate, and not all cameras provide this (but the vast majority do). The GO has an integrated Rycote shockmount (a good shockmount is essential—it reduces unwanted vibration and handling noise), and a shoe mount to affix it to your camera. 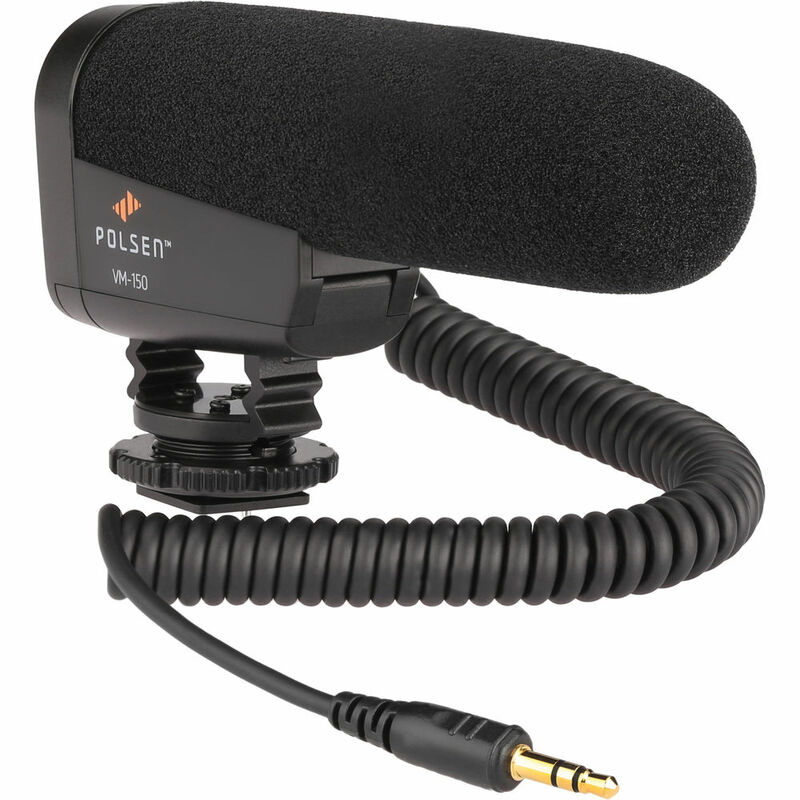 A short, coiled mini-plug output cable is included, as well as a foam windscreen but, as with any shotgun, it’s strongly advisable to purchase additional wind protection, such as the RØDE DeadCat GO or an Auray WSW-VMG Windbuster, both of which were specifically designed to fit this mic. Without the additional wind protection, any footage you shoot outdoors will likely be plagued by the winds of distraction blowing through your audio. Another compact microphone that's just the right size for use with smaller cameras is the RØDE VideoMic Pro. Like the majority of mics covered in this article, the VideoMic Pro requires a battery for operation. Battery-powered shotgun microphones typically provide greater sonic performance and extended sensitivity. 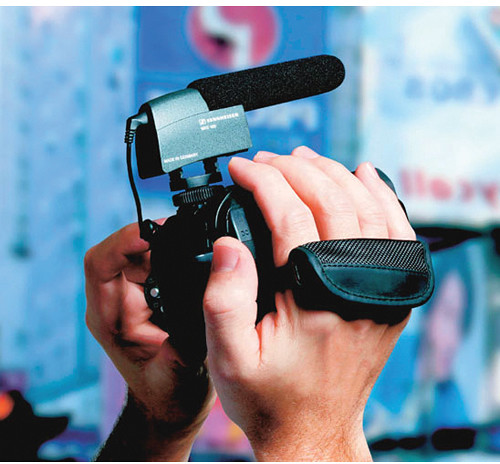 The VideoMic Pro has an interesting feature that enables you to boost its output level by +20dB. Why would you do this? The audio signal from this mic is likely cleaner sounding than the preamps built into your camera, so, by lowering your camera's input level and boosting the mic's output level, you can achieve better-quality audio. The VideoMic Pro also features a High Pass Filter that you can turn on or off. What this does is cut out low, bass-frequency sounds below 80Hz. This is such a low frequency that you typically won’t hear any difference in the sound of dialog with it turned on or off. However, when you turn it on, it will avoid picking up super-low sounds that a subwoofer on a home entertainment system will reproduce. If these sounds originate from footsteps, bumps, or handling the camera, you won’t want to hear them in your finished product. This switch enables you to eliminate recording these sounds in the first place (which is why many shotgun mics have this feature). As always, don’t forget additional wind protection. 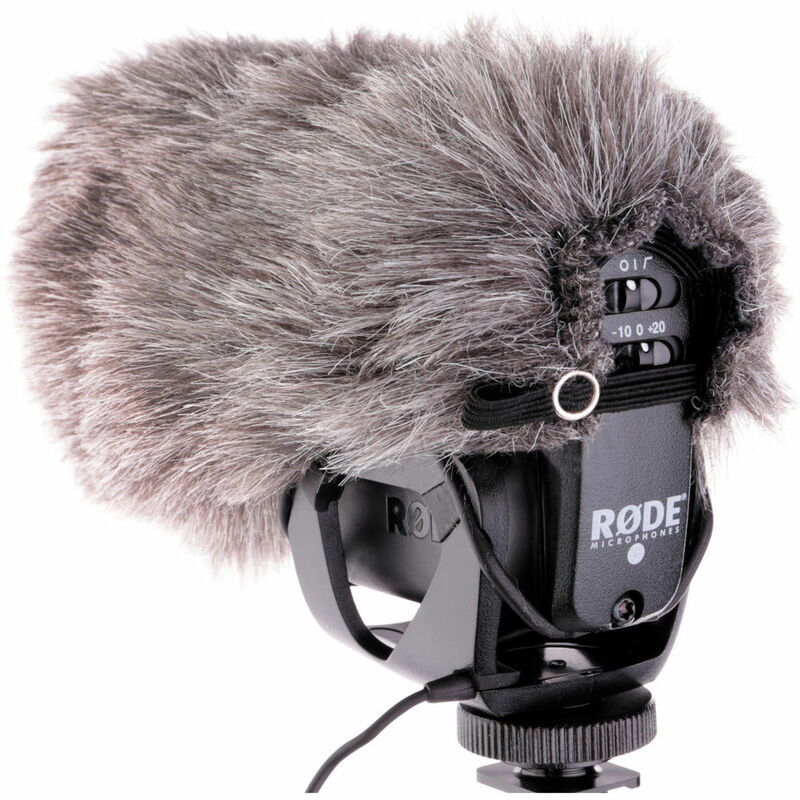 A good option is to get the RØDE Deadcat VMP, or you can buy the mic and a Windbuster windscreen together in a kit. There are several more good choices available, in regard to compact mics for smaller cameras. The Sennheiser MKE 400 is ultra compact, ultra lightweight, and it delivers an impressively large sound, considering its small footprint. The shockmount and shoe mount are both integrated into the mic, and it runs for 300 hours on a single AAA battery. A foam windscreen is included, but you really need to invest in the MZW400 Wind Muff accessory from Sennheiser. This is a kit that includes a mini-plug-to-XLR adapter, and a critically important fluffy windscreen. Another option that offers similar ultra-compact size and performance, yet features a more budget-friendly price, is the Polsen VM-150. 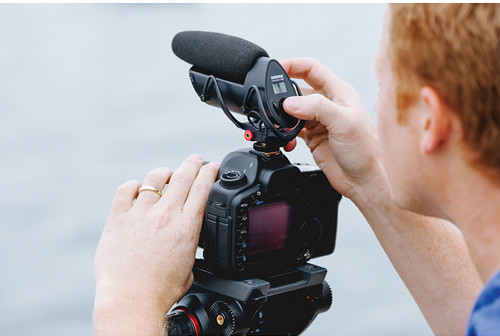 Like the MKE 400, the VM-150 runs on a single AAA battery, and like the VideoMic Pro, it features a Low Cut switch that filters out sounds below 80Hz. The VM-150 also has a switch that activates a -10dB pad. This lowers the sensitivity of the mic, so when you’re shooting in a loud environment, such as in a factory or on a construction site, it will help to keep the loud noises from overloading the mic. The recommended additional windscreen for the Polsen VM-150 is the Auray WSW-CMS. As mentioned earlier, portable digital recorders are often used to improve the audio quality of video productions, because they give you the ability to make recordings at higher resolutions and bit-rates than your camera is capable of doing. This brings us to a unique option in the market: the Shure VP83F LensHopper—a compact on-camera shotgun microphone that features an integrated audio recorder. An included mini-plug output cable can be detached, so you can use the VP83F on your camera, but you can also record with it independently. Files are saved to MicroSDHC, and it’s compatible with cards up to 32GB. It runs on two AA batteries for up to 10 hours. A headphone output is integrated into its base, as is a Rycote Lyre shockmount. For the all-important wind protection, you need to pick up the Shure Fur Windjammer. If you've ever looked at a full-sized professional shotgun microphone and wondered if anyone ever took its basic design and shrunk it down to so it could be used on a camera, this is the idea behind the Senal MS-77 and MS-66. Their miniature shockmounts, output connectors, tiny windscreens and pen-sized bodies offer impressive performance and sound quality. Both microphones get 100 hours of use from small, button-style SR626SW batteries (they’re included with the MS-66, but need to be purchased separately with the MS-77). Two output cables are included with the MS-77, one is short for on-camera work, and the other is 10 feet long, for boompole work. Both mics feature the ability to boost their output level by 10 or 20 dB, so you don’t have to taint your sound with the noisy preamps in your camera, as you would with the VideoMic Pro. As was stated earlier, some applications are better suited for stereo microphones as opposed to shotguns. But what if you were shooting footage of a bird singing in a tree, and you wanted to partially isolate the sound of the bird, while maintaining the essence of the natural left/right soundscape of the scene? This scenario calls for a stereo shotgun microphone. Audio-Technica offers just such a mic: the AT8024. It features the ability to switch between stereo and mono operation, depending on your needs. Another nice plus is that a fuzzy windscreen is included. If you shoot with a camera that's slightly larger than an average DSLR, it may make sense to go with a proportionally larger on-camera microphone. 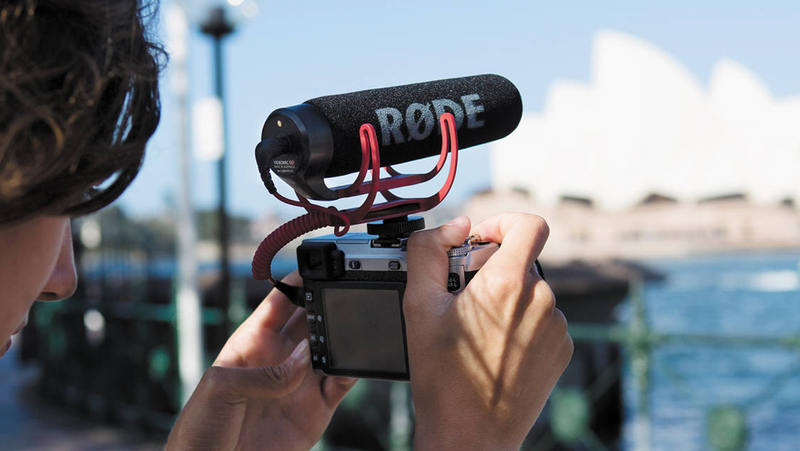 A useful option for cameras that feature mini-plug microphone inputs is the RØDE VideoMic with Rycote Lyre Suspension System. This mic gets up to 100 hours of life from a single 9-volt battery. The integrated Rycote Lyre shockmount may seem like a minor aside, but any mic that features this suspension system boasts a substantial benefit. These shockmounts are durable and offer excellent isolation from vibration. A recommended windscreen for this mic is the WSW-007MKII Custom Windbuster. A similarly-sized microphone with a more attractive price is the Senal CS-88. It runs on a single AA battery, and offers a -10dB pad for shooting in loud environments, and a +10dB boost—giving you the ability to avoid the noisy preamps inside of your camera. A switchable High Pass filter enables you to avoid unwanted low-frequency sounds, and a built-in coiled mini-plug cable takes care of the connection to the camera. Protect your audio from distracting wind noise with the separately available Auray WSW-CS88. All of the mics we've covered thus far have featured 1/8" (3.5mm) outputs that are compatible with the mic inputs found on DSLRs, mirrorless, and smaller prosumer video cameras. Next, we'll check out shotguns that feature 3-pin XLR outputs. But, no matter what kind of gear you're using, we encourage you to get your mic off of the camera and closer to the sound source whenever possible. One of the best ways to accomplish this is to use a boompole and a longer mic cable. Using an on-camera microphone will greatly improve the sound your camera captures but, the thing is, your camera is usually somewhat far away from the sounds it needs to record. If your camera is 10 feet away from the sound you’re recording, it’s going to sound like it’s that far away—even with a good on-camera shotgun mic. This is why it’s almost always worth it to position microphones as close as possible to the sound source, whether they’re wireless lavalier mics, a shotgun on a boompole, or some other solution. Just like fishing for sound! All of the microphones covered so far feature shockmounts that include a female 3/8" thread at their base. This thread enables you to connect the microphone to the top of a boompole. With the use of a simple mini-plug extension cable, such as the RØDE VC1, you can easily adapt your on-camera mic to be used on a boompole. It's also worth noting that the majority of these mini-plug shotgun microphones can be used with cameras that feature XLR inputs. You just need to outfit them with an adapter, such as the Kopul XLR to Mini Adapter. If your camera has XLR inputs, there are advantages to using microphones with XLR outputs, as opposed to mini-plugs. An XLR connection uses a balanced signal, which lends itself to lower noise for longer cable runs. Another perk is that XLR connectors often feature locks, which reduce the likelihood that your mic will become disconnected when you're rolling. Some XLR microphones aren't more expensive than their mini-plug counterparts. The Audio-Technica AT875R, for example, offers excellent sound quality in a compact body that’s only seven inches long. Phantom power is required for operation. While the AT875 maintains a budget-friendly price, you are going to need to purchase a shockmount and an output cable to use it on a camera. And, once again, don’t forget about wind protection. A good shockmount to go with is the Auray DUSM-1, which features a shoe mount for your camera and a 3/8-inch thread for a boompole. To connect the mic’s output to your camera’s input, a good option is this 1.5 foot Kopul cable, which features a right-angled XLR connector that attaches to the back of the mic. For additional wind protection, go with an Auray WSS-2012, which is a step above just a fuzzy covering, with its open-cell foam matrix and tapered-rubber base. If you’re interested in XLR-based microphones like the AT875R, but you’re using a DSLR or a mirrorless camera that doesn’t feature XLR inputs or phantom power, you’re not out of luck. 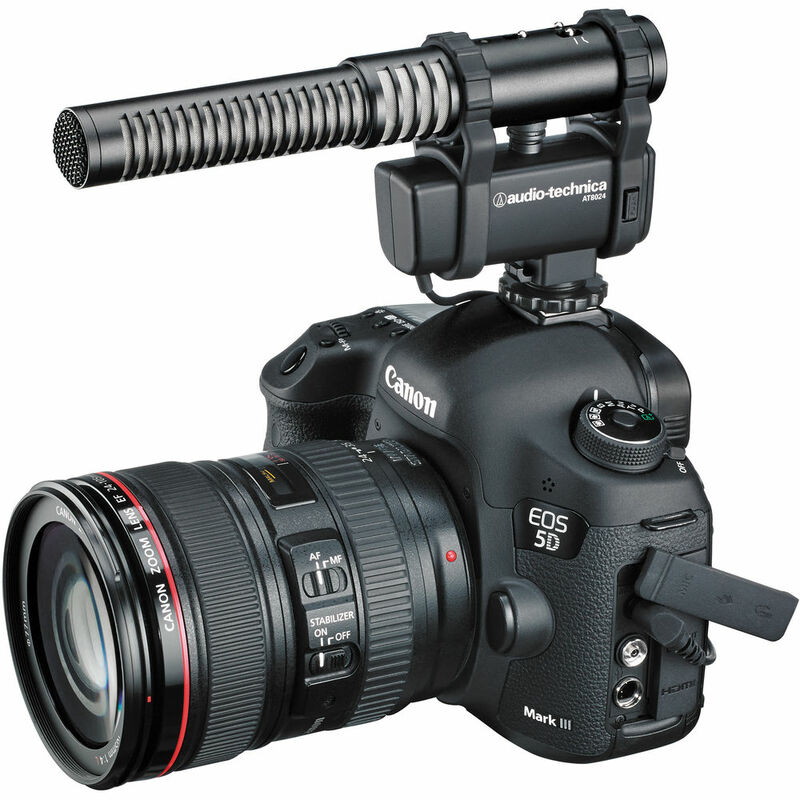 You can adapt any of the professional shotguns covered in this article to your mini-plug-based camera by using a product called a “Camcorder XLR Adapter.” These are compact boxes that attach to the base of your camera (or elsewhere on your camera rig). Their basic function is to connect to your camera’s mini-plug mic input via a short cable, enabling you to attach multiple XLR-based microphones to their integrated XLR inputs. Some of the more advanced Camcorder XLR Adapters, such as the Beachtek DXA-SLR ULTRA and the juicedLink RM222 Riggy-Micro, are powered by batteries, and can supply phantom power to mics that need it. Of course, there are some XLR-based shotgun microphones that can be used on a camera without phantom power. The RØDE NTG-2 features the ability to be powered by either an internal AA battery or by phantom power. It features a selectable 80Hz High Pass filter and durable metal construction. Its pleasing sound quality, versatility, and affordable price tag help to make the NTG-2 a popular choice for video production. Again, you’re going to need a shockmount and a short output cable, and the same Auray DUSM-1 and 1.5 foot Kopul cable are a good way to go. Additional wind protection can be provided by the RØDE WS6, or you can pull the Auray WSW-007MKII Custom Windbuster over the included foam windscreen. The next step up from there, as far as sound quality is concerned, is the Sennheiser MKE 600. Like the NTG-2, the MKE 600 can be powered by an internal AA battery or by phantom power. A useful touch is that the MKE 600 features a low-battery warning light. Another handy feature is the shockmount, with an integrated camera-shoe mount, which is included. This microphone also features a switchable low-cut filter and all-metal construction. Wind protection can be provided by the separately available Sennheiser MZH 600 or the Auray WSS-2014. If you’re the type of person who goes to great lengths to get the best-looking images you can, it’s probably a good idea to go the extra mile for your sound quality, as well. A popular choice for those who want the next plateau of sonic performance is the RØDE NTG-3 shotgun. There is no battery option for this mic; it requires phantom power for operation. This microphone was designed to reject radio-frequency interference and can withstand exposure to the elements, but the thing to get excited about is how good your video is going to sound. Once again, the Auray DUSM-1 and 1.5 foot Kopul cable cover your mounting and cable needs, and the Auray WSS-2018 will provide ample wind protection. If you’re looking for professional quality but can’t shell out the dough for the NTG-3, take a look at the RØDE NTG4 and the NTG4+. These newer, more affordable options from RØDE build upon the success of the company's NTG1 and NTG2 microphones, but feature an updated capsule to deliver broadcast-quality sound and digital switching options for versatile field operation. 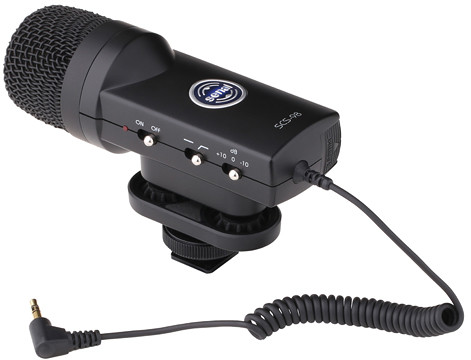 Designed to be mounted on a boom, a handheld pistol grip, or atop a compact camera, these microphones feature a directional super-cardioid pickup pattern, ideal for run-and-gun-style ENG. Both mics can be phantom powered, but the NTG4+ also comes with an internal battery that can be recharged via USB. Of all of the microphones covered in this article, none of them has as legendary a reputation as the Sennhesier MKH 416. Known for its highly directive pick-up pattern and its tank-like rugged construction, the MKH 416 has been a “go-to” shotgun microphone for industry professionals for decades, and it continues to be a favorite today. This microphone also needs phantom power to operate, as there is no battery option. Mounting, output cable, and wind protection needs are covered by the Auray DUSM-1, 1.5 foot Kopul cable and Auray WSS-2018. Hopefully, this article has given you a pretty good idea of some of the options available for improving your on-camera audio. If you have any questions about the products or techniques we covered, you can always reach out to a helpful B&H sales professional by calling 1-800-831-2434, having a Live Chat, or stopping by the SuperStore, in New York City. Hi, this is a fantastic article, very useful. However, I'm in a weird situation: i'm filming a subject on a table about 2-3' in front of the camera. I'm narrating as i film, with my head about a foot and a half away from the camcorder. I don't want to use a lapel mic or "wire" myself to the camera, so I've been trying to mount a rode VMGO, and point it towards me (i.e. putting it backwards on the camera). this works great, except I have a *very* loud voice. I've dropped the gain down on the camera as low as it will go (-30), but occasionally i still get distorted sound as I talk. i'm wondering if i should get a different mic that has a -10 on it to bring the gain down farther? Or is there something other than a shotgun I could put mount on the camera that would work better? thanks in advance! The rode ntg2 can handle loud sounds perfectly and is actually ideal for loudspeakers. The mic does have a fair amount of hiss that could be overwhelming when recording soft audio. Hi! I'm shooting staff meetings for work with a Sony FDR-AX53 Handycam. Sound has always been an issue with the size of the conference room (20' x 35'). The main speaker typically stands in the front of the room and they have a tendency to wander back and forth up in front. Then I have folks asking questions in the audience. I need a good on camera mic that can pick up the softest spoken to the loudest "big mouths" :) Do you have any suggestions? The VideoMic Pro with Rycote Lyre Shockmount and Dual Shoe Bracket Kit from B&H (B&H # ROVMPRBK (B&H Kit)) includes a Rode supercardioid directional microphone with an integrated Rycote Lyre shockmount, an integrated foam windscreen, and a Vello CB-510 dual shoe bracket with silicone rubber grip. It can be used to capture audio for camcorders, DSLR, and portable recorders as a source of primary and reference audio. The VideoMic Pro has been upgraded from earlier models with a 1/2" condenser capsule that provides broadcast-quality audio. 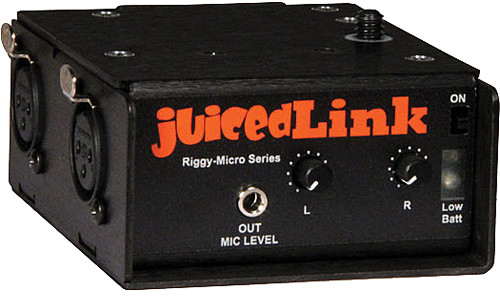 It terminates in a 1/8" stereo mini-jack connector (outputting the mono signal to both left and right channels) and delivers low self-noise of just 14 dB. The supercardioid polar pattern ensures that the surrounding audio is minimized, and your recording is focused on the subject in front of the camera. Hello. What microphone would you recommend for a HC-X1000 4K Pansonic camera (I bought from you guys). I am starting my own media business and I would like a mic I can attach to the camera as well as on a boom arm. Thank you! Consider the AG-MC200G Super-Directional Electret Microphone from Panasonic . It is a camera mounted condenser microphone with superior directional characteristics than that of standard unidirectional microphones. The focused pickup of the AG-MC200G eliminates audio at the sides of the microphone, greatly reducing ambiance and potential feedback problems. The AG-MC200G uses +48V phantom power and feature a standard XLR output. The microphone is ideal for camera use, as well as portable recording devices and field mixers. This article points to discontinued items and is seriously in need of updating. What would you reccomend for shooting videos of motocross races and stuff like that (windy days on the lake, motocross, etc)? I am looking for a shotgun mic that I can put on my Sony 6300 and Glidecam hd2000 to film commercials. And can be attached to a boom pole to record scenes between actors. Is there a shotgun mic that could do both? What would you reccomend? This Rode NTG2 shotgun microphone kit is available exclusively through B&H. The kit consists of the Rode NTG2 shotgun microphone, shockmount and XLR to 1/8" mini cable/transformer for connecting to mini inputs on consumer video gear, portable recorders, etc. The Rode NTG2 is a condenser shotgun microphone designed for professional audio capturing in the field or indoors. With a history of manufacturing quality studio microphones, Rode has implemented low noise output electronics and wide bandwidth, both of which attribute to the NTG2's broadcast sound quality. The super-cardioid polar pattern and line plus gradient acoustic principle effectively minimize audio and noise at the off-axis (sides) of the microphone, while the front of the capsule accurately reproduces incoming audio signal. The result is greater intelligibility and signal-to-noise ratio when using the NTG2 in noisy environments. The NTG2 is powered with an internal 1.5V AA size battery or an external +48 Volt phantom power source, the output is a standard 3-pin XLR male connector. The microphone features a rugged, all metal, lightweight enclosure that is ideal for camera mounting yet durable enough to withstand the rigors of heavy road use. The Rode NTG2 is packaged with a microphone stand mount and windscreen. The super-cardioid polar pattern and line plus gradient acoustic principle effectively minimize audio and noise at the off-axis (sides) of the microphone, while the front of the capsule accurately reproduces incoming audio signal. The result is greater intelligibility and signal-to-noise ratio when using the NTG2 in noisy environments. The NTG2 is powered with an internal 1.5V AA size battery or an external +48 Volt phantom power source. The output is a standard 3-pin XLR male connector. The microphone features a rugged, all metal, lightweight enclosure that is ideal for camera mounting yet durable enough to withstand the rigors of heavy road use. The Rode NTG2 is packaged with a microphone stand mount and windscreen. The Rode NTG2 can be powered with an internal 1.5V AA battery or external +48V phantom power source. The NTG2 features a lightweight metal housing that is ideal for camera mounting. Low noise output electronics provide high signal-to-noise ratio. The NTG2 is designed to also reduce noise caused by handling, rigid mounting hardware, loose cabling etc. The Auray DUSM-1 Universal Shockmount features a four-point suspension to accommodate shotgun and other cylindrical microphones measuring 0.74-0.98" (19-25mm) in diameter. The shockmount is easily angled with its rubberized adjustment knob. There is a built-in shoe for camera mounting, and a 3/8"-16 thread connection at the base mounts the shockmount to boompoles and universal hand-grips. I am looking for a mic to do interviews at loud car shows indoors/outdoors between two people, but then also in a quiet room where the speaker uses the mic on a mount like a reporter. Which option do you recommend? Every day, for local, national and international news reports, the Electro-Voice RE50N/D-L with Long Handle and Neodymium Capsule gathers the audio for news interviews. Designed specifically as an ENG/EFP interview microphone, the RE50N/D-L's custom Dyna-Damp "mic-within-a-mic" shockmount provides extremely low handling noise for clear sound. A large, built-in Acoustifoam filter keeps wind and P-pop noise to an absolute minimum, indoors or out. Frequency response is 80 Hz to 13 kHz. Measuring 9.5" in total length, this extended handle length version delivers all of the sonic performance of the RE50B, adding the virtues of a longer body length for ease-of-use, helping keep the reporter's hand out of the shot. The K-Tek KR-50-70 Fur Windsock is designed by Reinhardt and is intended to be used as an extra layer of wind protection; fitting over existing foam windscreens and plastic windshields. This Windsock is made of top-grade synthetic fur and measures 1.96 x 2.75" (50 x 70mm), which allows it to fit snugly over ball-type handheld microphones. The Auray MS-5230F Tripod Microphone Stand with Fixed Boom features durable, steel construction. The 31.5" boom arm allows you to angle the mic however you need it. An ergonomic twist-action clutch helps adjust the height of the stand, while the reinforced tripod base and non-slip feet keep it firmly and sturdily in place. The Auray MS-5230F mic stand collapses for easy transport. I'm looking for suggestions for a microphone in a classroom situation. We video the class and have the teacher mic'd with a lav or wireless handheld, oftentimes there are questions at the end of class that the onboard mic doesnt capture. We're using a SONY XDCam which has 2 XLR inputs with mic, line and mic+phantom power level inputs. The camera is operated and is adjusted to point at those in the audience speaking. Also the rooms vary in size and will need to pick up audio from students anywere for 10' to 30' away from the camera. Thanks in advance! The 638 to 698 MHz version of the Sony UWP-D12 Integrated Digital Wireless Handheld Microphone ENG System features all-metal construction, easy to read LCD displays, a wide switching RF bandwidth, USB power and charging, automatic channel scanning, infrared synchronization between the transmitter and receiver, a true diversity receiver, a headphone output on the receiver, output gain control on the receiver for optimizing input level to a camera, and digital companding circuitry to improve the transient response of received audio. The package is suitable for a wide range of wireless applications such as ENG, talk shows, lectures, and more. I would like to get a microphone for use with a Fuji X-T20 (coming tomorrow) to record my sons high school band and orchestra performances. Will the Rode VideoMic Pro be suitable for that? Would that be an overkill huge contraption on the X-T20 and should I opt for a smaller model? If you had a photo of one mounted on an X-T10 or X-T20 that would be great. The Rode VideoMic Pro will be compatible with the Fujifilm X-T20. Unfortunately, we don’t have any photos of the Rode VideoMic on an X-T20 or X-T10, though the mic will be an average size for a DSLR mic. It would be a solid option for recording your son’s school band and orchestra performances. I am looking for a on camera Mic in the range of $150-200 mainly for use in the forest to record sound into the camera while shooting birds and animals at a distance of 20-30 meters. To be mounted on a Nikon D4s or Nikon D5. You may use the Rode Videomic with suspension mount to fit onto your shoe mount and this will greatly improve the audio recording. This is an omnidirectional shotgun mic which will record audio of everything in front of the microphone. It will not record clearly for sounds behind it though. I have a Panasonic consumer camcorder that I use to record high school marching band performances. It has a coldshoe and a mic input. I'm usually at the back of the stands or on top of the press box. I often get chatter of people sitting nearby or below me who are not respectful enough to refrain from shouting and laughing during the performances. Is there a microphone that would be good for my use that would have a directional "zoom" to be good for this situation? Also, I'm considering a Sony 4K camcorder (A55) that has a hot shoe to accept Sony accessories and I wonder if something like the Sony ECM-GZ1M Zoom Microphone would be the best choice. I see that this will zoom as the camera zooms, but often my recording is wide-angle to be able to get the entire band, so I'm not sure if that will help. The Sony ECM-GZ1M Zoom Microphone for Cameras with Multi-Interface Shoe is a decent choice for the SONY HDSLR. For the Panasonic camcorder consider the VP83 LensHopper Shotgun Microphone from Shure. It's a compact camera-mount condenser that provides detailed, high-definition audio with DSLR cameras and camcorders. An integrated Rycote Lyre shock mounting system provides isolation from vibration and mechanical noise. 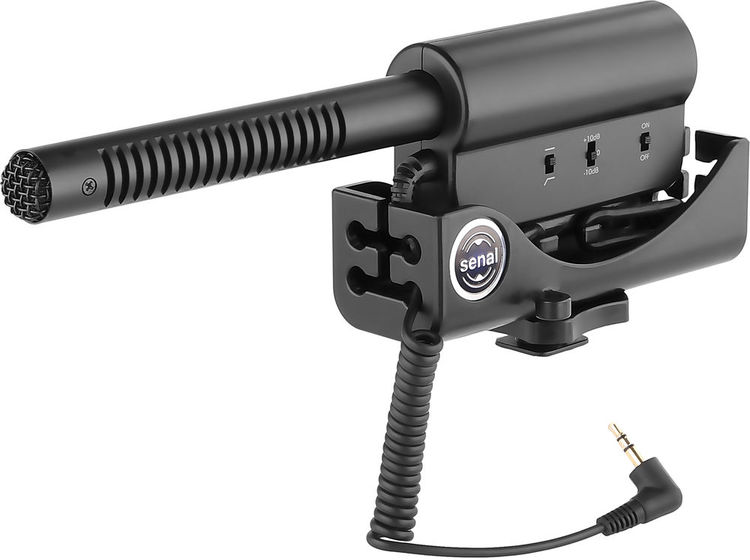 The MS-66-K DSLR/Video Mini Shotgun Microphone Kit from Senal is a complete solution for recording audio directly to your DSLR or camcorder. With several qualities of a professional shotgun mic packed into a pen-sized lightweight design, it allows for clear dialog capture without compromising your compact setup or getting in the way of your shot. The microphone itself has a hypercardioid polar pattern that allows it to clearly pick up subjects directly in front of it while strongly rejecting unwanted off-axis sound. Designed for the clear capture of dialog, the MS-66-K is optimized for applications such as capturing interviews both in and outdoors. Its small, 6-inch frame stays out of frame when mounted to your DSLR, assuring your mic will never be in your shot, even with most wide-angle lenses. The VP83 LensHopper features an easily accessible three-position gain adjustment and low-cut filter, allowing it to adapt for different recording environments. Its lightweight, yet durable, metal construction provides dependability and long-life. The VP83 easily mounts to a standard-size camera shoe or a 1/4" threaded stand. The convenient, attached 3.5mm cable connects to your camera's audio input. Its efficient operation boasts 130 hours of battery life on just one AA alkaline battery. A foam windscreen is included. Great article. I have a zoom H4N and I'm thinking about using that to record because the sound quality will be better then going straight into my 700D DSLR. If I get a Rode VideoMic Go will I be able to use that with the recorder? And will I really benefit from the suspension system? Yes, you can connect the RODE VideoMic Go to the recorder. No point really, though. The Zoom's built-in mics are probably equal or superior. The next move would be to purchase a professional grade XLR microphone. Hey. I have a Zoom H1 mic that I am planning to connect to my Nikon DSLR. Just wanted to understand if there is a special cable that i need to use for doing the same or any regular 3.5mm to 3.5mm will do. The LN2MIC-ZOOMH4N from Sescom is a problem solving cable for users of HDSLRs who are using a Zoom H4N or Zoom H1 as a secondary audio recording source. Many professional DSLR cameras have unbalanced stereo microphone level audio inputs on a mini TRS 3.5mm jack. The Samson Zoom H4N or H1 output line level audio signals. This cable provides the proper microphone levels and preserves the delicate connector contacts inside the camera, allowing users to go directly from the audio recorder into the camera. I have a Sony HDRPJ-540 video camera that I use to shoot marching band video from the top of a high school stadium (about 60 feet from the band). What shotgun microphone or other application do you recommend for about $200 to improve the audio shot by the camera? One of my favorites under $200 is the Shure VP83 LensHopper Shotgun Microphone, a compact camera-mount condenser that provides detailed, high-definition audio with DSLR cameras and camcorders. An integrated Rycote Lyre shock mounting system provides isolation from vibration and mechanical noise. The VP83 LensHopper features an easily accessible three-position gain adjustment and low-cut filter, allowing it to adapt for different recording environments. Its lightweight, yet durable, metal construction provides dependability and long-life. The VP83 easily mounts to a standard-size camera shoe or a 1/4" threaded stand. The convenient, attached 3.5mm cable connects to your camera's audio input. Its efficient operation boasts 130 hours of battery life on just one AA alkaline battery. A foam windscreen is included to guard against wind and environmental noise. Thanks for the answer. Since the camera has stereo sound, do you think the Audio-Technica AT8024 would be a worthwhile upgrade for a bit more money? Nice pick, Bob! This new mic from Audio-Technica is a great choice for just a few bucks more. For capturing audio, the AT8024 Stereo/Mono Camera-Mount Microphone by Audio Technica can be used in several environments, on DSLR and video cameras, for applications such as weddings, conferences, sports events, and more. It features a selectable line-cardioid mono, and internally matrixed mid-side stereo mode and provides the flexibility to focus the recording on a single sound source, or to widen the field for more sonic realism. The AT8024 can deliver much improved audio than the supplied camera's internal microphone. The AT8024 is built with a three-position adjustable input pad (-20 dB, -10 dB, 0 dB) to capture soft and very loud sound passages without distortion. A switchable low-frequency roll-off reduces pickup of undesired ambient noise, room reverberation, and mechanically coupled vibrations. The microphone is powered by a single AA battery for optimal performance with high max SPL, and features an integral camera shoe mount that attaches to DSLRs and shoe-equipped camcorders. A 39" coiled cable with a 1/8" mini-jack, AA battery, windshield, fuzzy windscreen are included. Can any of these work with any of the canon DSLR, for example, EOS Rebel T6i EF-S 18-55mm IS STM Lens Kit. I'm new to all of this so I'm not sure what I should be looking for in terms of getting a shotgun microphone. I also wouldn't have anyone physically being able to hold the shotgun mic, so can any of these attach to the camera or is there a boom pole stand so it can stand by itself without anyone? Any suggestions on which shotgun mic is best and any accessories needed? thank you! 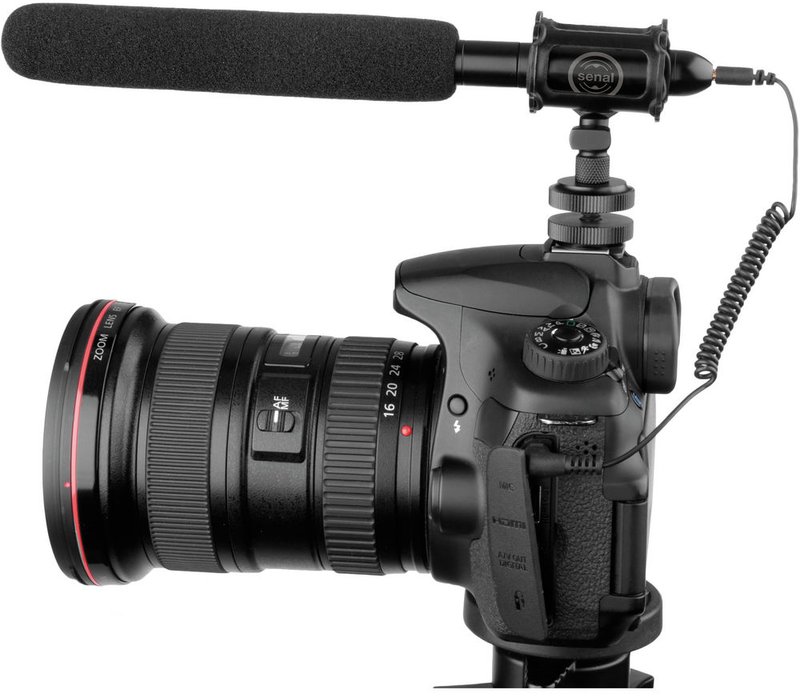 Most of Canon Prosumer to Professional Line of DSLR's will offer a mic imput allowing for use with the shotgun mic mentioned, including the T6i. The very entry level may not so its would be wise to check. Most of the mic will either come with or offer an additonal hot shoe mount accessory to allow the mic to mounted to the camera itself. 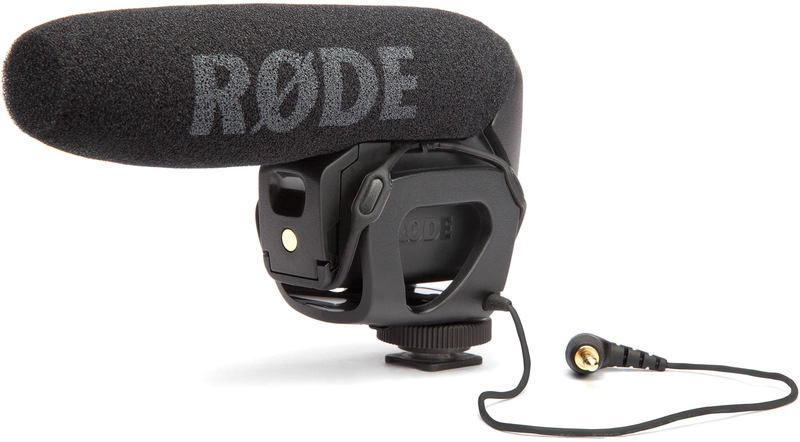 The Rode VideoMic Pro Compact Directional On-Camera Microphone would be recommend for use with your camera, the microphone has a broadcast-quality condenser capsule with a supercardioid pickup pattern to capture audio from the front, while minimizing pickup from the sides and rear. An integrated shockmount and foam windscreen minimize handling and wind noise to keep your recordings crystal clear. This article has got too much info to the point it's unhelpful. Bottom line for me as a vlogger? What is the best mic for indoors for a DSLR camera? I have tried many and can't find one with a decent result. If you are working close to the camera,one of my favorites under $200 is the Shure VP83 LensHopper Shotgun Microphone, a compact camera-mount condenser that provides detailed, high-definition audio with DSLR cameras and camcorders. An integrated Rycote Lyre shock mounting system provides isolation from vibration and mechanical noise. I will be using my Nikon D800 to film an amatuer theatre production from the back of the room (small room probably about 10-15M) - what's the best mic for this application? I was looking at the RODE videomic pro or even the Nikon ME-1, not sure if I need stereo or not - what's your advice? The best performer overall is the Rode VideoMic Pro. Two key features, the 3-Position Level Control and the 2-Step High Pass Filter help make it so. It also includes a 10 year RODE warranty. That said, an on-camera shotgun mic is not an ideal solution at this distance, but it is far better than the in-camera mic at any rate. I'd love to get some advice on which mic to use for my full frame DSLR? I will be using it for a range of sounds. Primarily for interviews and music performances, all in medium to close proximity. Which would be the more appropriate mic for my needs and my body? The best performer overall is the Rode VideoMic Pro. Two key features, the 3-Position Level Control and the 2-Step High Pass Filter help make it so. It also includes a 10 year RODE warranty. I guess it was the larger size that got me questioning... Usually it is the bigger the better, but being the cheaper one, I thought that it may not be the best. I will order the Pro then! With professional shotgun mics - the longer tubes typically offer a narrower pick-up pattern. With these compact on-camera mics , it is the overall design, engineering, and quality of the components and construction that really counts. I have a Canon 5d Mark III that I will use for interviews. 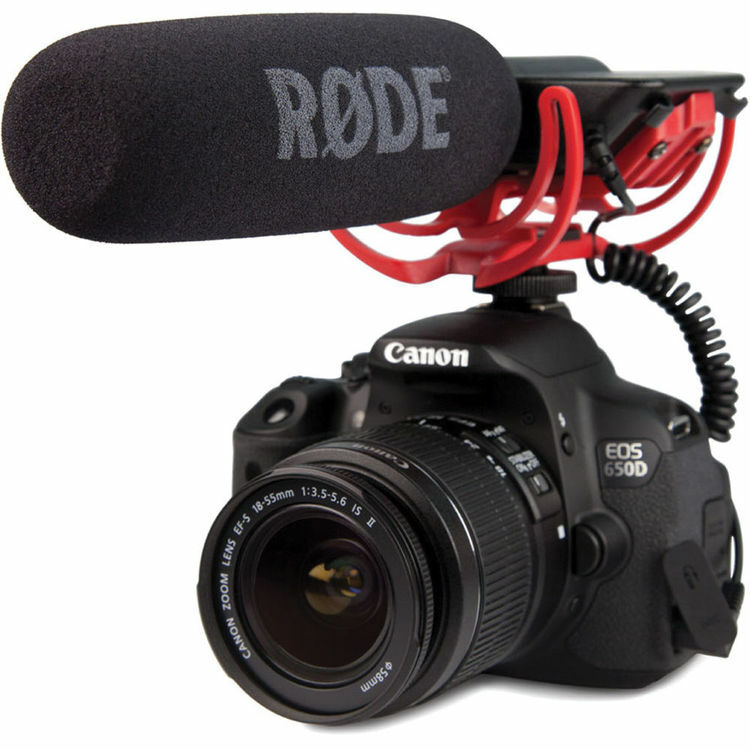 I'm considering the Senal CS-88 and the Rode Videomic with rycote lyre suspension system. I like the suspension of the Rode, but I also like the +10dB of the Senal, allowing me to turn down the gain on the camera's preamp. Between those mics, I would lean towards the Senal CS-88 DSLR-Video Shotgun Microphone as it has more control over the mic's gain which will help in real world recording scenarios. The suspension system is nice but you can use a shock mount to keep the mic from picking up any movement audio. The Rode SM3 - On-Camera Shock Mount for Shotgun Microphones would be a good option for a shock mount. I have cameras that have a shotgun mic holder built in, like the Sony EX3, but the shotgun microphone is too small for the holder. I've seen them held in place with a rubber sleeve. Is this something I can buy? Create a more snug fit and vibration isolation for a shotgun mic when it is mounted in the camcorder's mic clip. Sanken ROCS Rubber O-Rings for CS-1 (10) ROCS B&H Photo Video B&H # SAROCS. Hi! I would like to use my canon vixia camcorder (with external mic plug in) to record individual vocal video auditions for musical theatre students in an indoor studio setting. Students will be singing either with a piano accompanist or a karaoke music track. I would like to have higher quality sound than the camera itself can provide. Which external mic would be appropriate and what set-up (boom pole vs. on camera)? Also can a boom pole be mounted on a stand? If so, what type of stand? Respond via the e-mail listed below with your Canon camcorder model number and your approximate budget range and we will be happy to offer you recommendations for a microphone, boom pole and stand, along with any accessories you may require to make it all work. together. The Tascam TM-X is a compatible with the Canon 600D and does a great job recording ambient and musical performances. The TM-2X Stereo XY Condenser DSLR Microphone from Tascam is designed to record stereo audio directly to your DSLR camera's microphone input. It can be mounted directly on your camera's hot shoe mount and is capable of being swiveled 180-degrees. The TM-2X has two switchable sensitivities, allowing it to work with a range of cameras. As it is powered by plug-in power from your camera, it requires no external batteries for operation.